Everyone is entitled to eat biscuits. When the biscuits are healthy, so much the better. 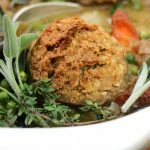 Made with Otto’s Cassava Flour, these comfort-food-beauties offer great complex carbs and resistant starch; and the recipe also contains some brain-boosting amino acids — a bit of protein to ground blood sugar levels. 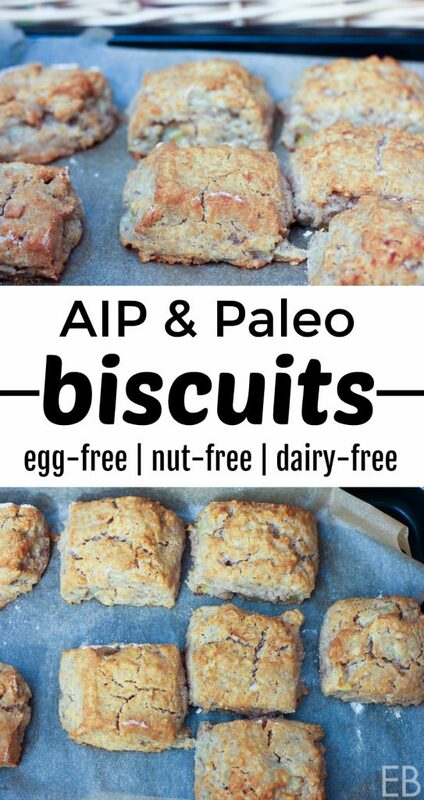 Great alongside any meal, if you’re AIP you’ll be so happy to have biscuits with your meals again! Yes, these bread-treasures are egg-free, nut-free and dairy-free, yet great for any Paleo appreciating diet. If you’re not already familiar with resistant starch, it’s a starch in cassava flour that resists being digested. The benefit of this kind of starch, called RS3 and activated during Otto’s careful oven-drying process, is improved colon health and immune boosting. RS3 is a prebiotic food eaten by the probiotics in the colon. The probiotics then produce a short-chain fatty acid called butyrate. Butyrate feeds T cells which in turn increase in number and vibrancy. T cells are key players in our immune system and help with preventing and healing from autoimmune conditions! If you didn’t already know, Otto’s cassava flour is true health food (in disguise as white flour!). So it’s no coincidence that it’s “legal” or “allowed” on healing diets like AIP. This RS3-rich food is also a great complex carb, helping to provide energy to the body and protect the thyroid. 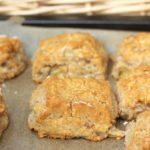 I’ve also added collagen to this recipe, because it’s great to get some added protein with a big dose of carbs; and collagen contributes tenderness to the biscuit’s center. Enjoy your biscuits with jam. Enjoy them with honey-ham. Enjoy them alongside soup. You can’t go wrong. Or find them here as a casserole topping; yes, you can use them to make pot pies and cobblers, either sweet or savory! Combine water and apple cider vinegar in small dish. Set aside. In large bowl whisk together dry ingredients: cassava flour, collagen, sea salt and baking soda. Set aside. Cut fat into flour using food processor, (or 2 knives). Pulse to combine until largest fat pieces are pea-size. Bake in preheated oven 25-30 minutes, until puffed, golden and cooked through. Enjoy! Split open and top with either sweets or savories! Find solid palm shortening here, perfect for making biscuits. Do you have a pantry-full of Otto’s cassava flour? Find it here. It’s our favorite staple. I enjoy your site so much. You are beautiful. I’m a 64 year old grandma. God bless you and your family. I’m sorry I got your message late. (I’m still adjusting to my new commenting system!) Thank you so much! This warms my heart and what a lovely way to start the day — with your kind words!! Much love and God bless you and your family too!! Cannot wait to try these Megan! They looks SO amazing! Oh how I love these biscuits!!! I just made some and devoured them with some all-fruit apricot jam – scrumptious! Terrific, Emily!! That’s super fun to hear, and I always SO love feedback after folks have made a recipe! xo and yay! Hi Carol, no problem. You can use another solid fat! Butter, if you eat dairy, works well. Coconut oil will melt more quickly, because it has a lower melting point; but you can use it too. Tallow too, etc. These look delicious! I’ve never used cassava flour before. I will definitely give it a try with this recipe! These look so good! 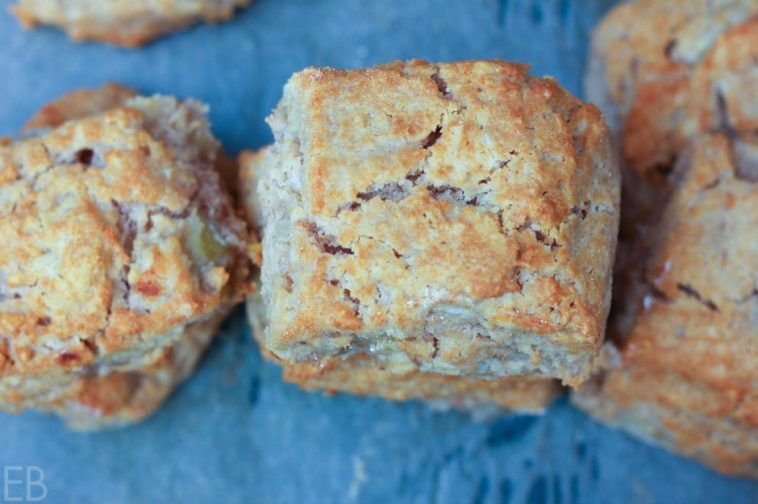 Such a great option for an allergy-free biscuit! Can you make this recipe without the collagen? I only have grass fed gelatin at home and wanted to make these to send with my daughter for lunch at camp tomorrow! Hi Ashley, I don’t know, actually. It will change the outcome, and I don’t know how much. Typically with egg-free baking I don’t encourage subs, but in this case, they may be fine. Ashley, how did you make out with the gelatin? 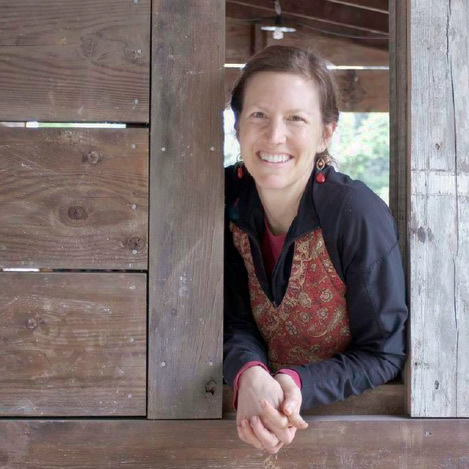 I made a recipe using gelatin to replace the egg in biscuit and it turned out ok – except I patted them down and like Megan says in this recipe, not patting them down = fluffier. Going to try this one right now. I have both gelatin and collagen. These look great! When I made mine the insides were really gummy and mushy even though I let them bake for about 10-15 min longer! Do you have any suggestions? Thanks! Hmmmm. It’s hard to know without being in your kitchen with you. I can say that the recipe is not mushy at all when I make it. So sounds like something major is different. Sorry for you! Hi Megan, mine turned out super crispy and flaky on the outside but the inside was very gummy. I cooked them a total of almost 40 mins trying to cook the center through but lowered the heat towards the end so the outside didn’t burn. They were still gummy. Any suggestions? Everything was ice cold. I almost got a batter consistency rather than a dough. I did use Otto’s but vital proteins collagen and chilled Spectrum brand shortening. I’m a very experienced gfree/paleo Baker. Please Help…Thank you! Hi Holly, I use lard, palm or coconut oil. My suspicion is that Spectrum has a lower melting point, so it melts too soon. I’m sorry: I hope I didn’t write to use Spectrum anywhere; did I? Anyway, I’m sorry for your trouble! 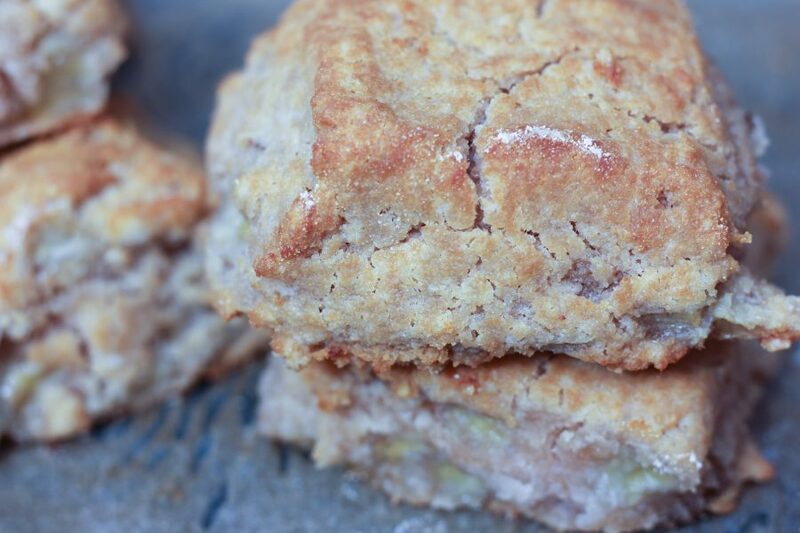 Biscuits should be happy food, not frustrating. If you make them again, the absolute ideal fat is leaf lard, which you can find pasture-raised from Etsy! 🙂 It’s melts later in the baking process, creating a flakier texture in the biscuit. Good luck!! Thanks Megan! No, you didn’t say to use spectrum specifically but I have always thought palm shortening was what spectrum was (still not clear on that) and it’s what I always use when Paleo recipes call for palm shortening. I will get leaf lard and try again. I doubled the recipe the first time I made it 😩 so I have A LOT of bad biscuits lol. Thanks for your feedback! I can’t use collagen so I use 2 eggs and they turn out perfectly!